If you’re tired of traditional stuffing this is a great alternative for your thanksgiving table. 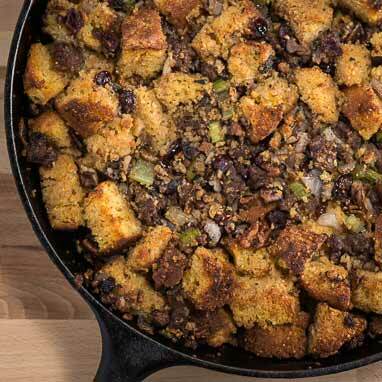 Served right in the skillet, it combines dense chunks of cornbread with sausage, fresh herbs, and dried cranberries (for a little hint of sweetness). It's great by itself or covered in your favorite gravy.